Finalists of the Worcestershire Education Awards were invited to a lavish black-tie awards ceremony, on Wednesday 20 June, to celebrate this year’s winners of all 12 categories. 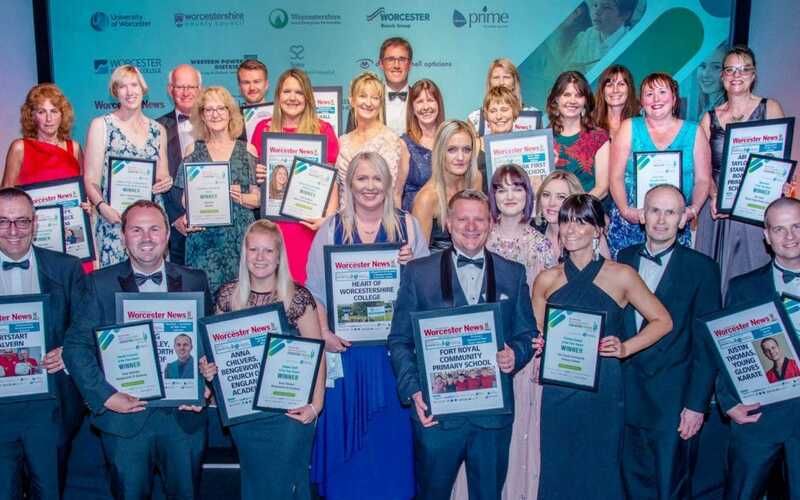 For the second year, the awards, organised by the Worcester News in partnership with the University of Worcester, showcased the best of the best from schools, nurseries, colleges, volunteer groups and businesses. Former Olympic gold medallist Duncan Goodhew gave an inspirational speech outlining how it was his own teachers and coaches who had helped propel him to ever-greater success. He also spoke of the challenges he’d overcome during his extraordinary life including facing alopecia and dyslexia while still a schoolboy. Awards across 12 categories were then presented by representatives from the sponsors in each category including the University of Worcester, Worcester Bosch, Worcestershire County Council, Babcock Prime, Western Power Distribution, Dominic Tunnell Opticians, Spire Healthcare and Worcestershire Local Enterprise Partnership. The event, which took place at the University of Worcester Arena on Wednesday, June 20, also raised £1,000 for Acorn’s Children’s Hospice.